forum.ladypopular.com • View topic - 3. What goes around, comes back around! 3. What goes around, comes back around! Re: 3. What goes around, comes back around! :attention: Dress your lady as a character(s) from the story and let us know your thoughts about it. You can also make use of your appartment decoration, boyfriend/fiance , collages etc to make it more realistic. Best entry will be rewarded! So what I think happened was that the man pushed down the mountain by the leader dies, but his soul remains unrest and decides to take revenge on the man who killed him by doing the same thing to the murderer. In the end when it says the 2 dead men’s body were next to each other I think that it wasn’t coincidential and that the man’s spirit manipulated his corpse to rest aside the leader’s body. I believe that the spirit of the 1st man to die will not seek to harm any mountain climbers who seek to beat the record of highest altitude that he risked his life to achieve just because he lets the 3rd innocent man in the story to leave alive. 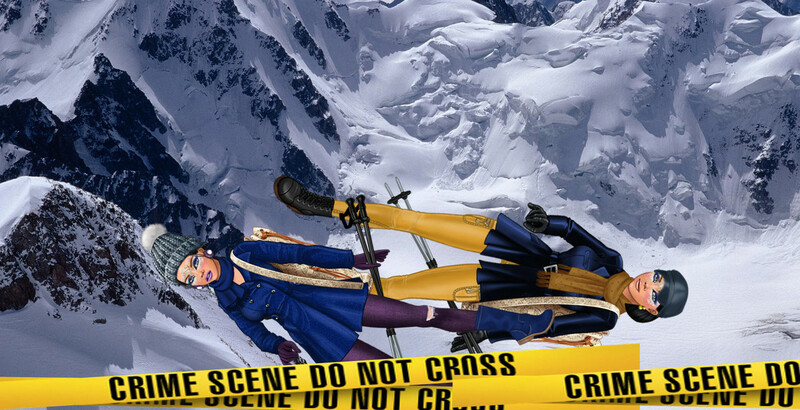 Now the reasons behind the murderer’s (the man in orange/yellow pants) actions was simply that he was a very ambitious man who did not want to share the success and fame of reaching the peak of the mountain with his other two companions. 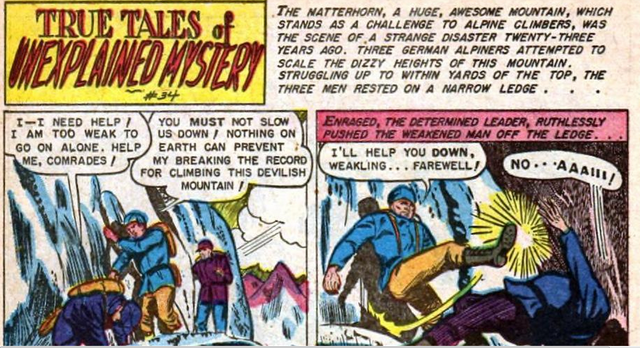 Again, with the same way the murdered man controlled his corpse to stay next to the man who killed him, I believe that’s how he manages to climb himself up the mountain with his “supernatural” powers. Just to explain whats going on in the scenario below: The third man who survived is back home. I sort of made a collapse of time by adding in the background the murdering on action. So the man in color red is being pushed by the one in color green (these colors do not correlate to the color of the characters' clothes in the story though). we have facts 2 dead bodies near each other, it means they were fell together from one place. as in other cases one of body would be covered with snow whilst another not and they would be found in different places. besides there are only one witness and therefore only one STORYTELLER, who know is it true ? no one can prove the survived man is saying true. and one more fact that he also is ambitious as he also went to this such a dangerous trip.